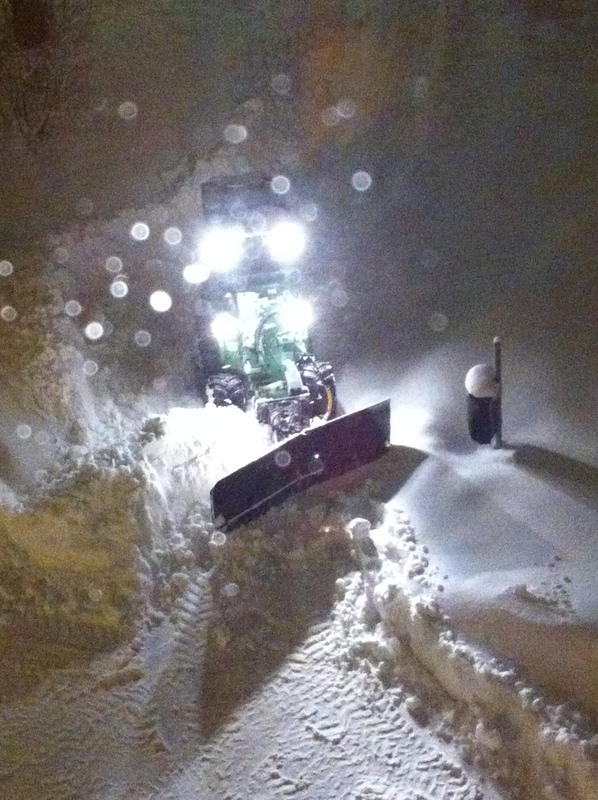 Yes… it is snow plow picture. It was taken from the bedroom window last night around 10.30 PM using a mobile phone camera, as you can see the result 🙂 We had snow storm yesterday for the whole day and it was the same for today! Snow storm will be in Sweden for while I guess and as this morning scene where the platform of the metro station packed with people and to make it worse, there was no bus operated till late afternoon because of the slippery road, strong wind and snow storm. I started my journey at 12.30 and it took me longer than usual to get to SU. I needed to cover my face with news paper while I was waiting for the metro outside because if I didn’t do that… I would be a replacement of snow woman 😛 LOL!!! I’m tired tonight… I don’t know where my energy goes? 😦 I’ll sleep early because tomorrow will a long long day… before head off to the party, I’ll to write here. Folks… I can’t open my eyes anymore, so see you tomorrow!!! Nite nite….